The item may have minor scratches, scuffs, marker writing, stickers and/or sticker residue. We will respond promptly to your inqui. Florida 7.00% Georgia 6.00% Arizona 8.60. What you see is what you get, no power cord. We cannot fix situations we are unaware of. We appreciate your patience and opportunity to correct a situation if that happens. - Local pick up is available. Genuine Dell OEM DA-2 ZVC220HD12S1 AC Power Adapter Dell Part No. D3860 for Optiplex USFF. Includes power cord, as pictured. Serial Number: Various. GoodFull Condition Scale. We are unable to claim your item is a 'gift' or understate its value in order to circumvent such fees. We are unable to file any claims after this date. It's in really good condition. The orange 'ready' indicator light works, letting you know there's AC from the wall. When you jump the 'signal' pin, the orange indicator light turns green and you get about 13.8VDC at the three pins. 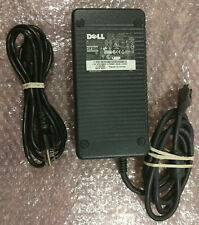 OEM Dell DA-3 DA-2 OptiPlex GX620, SX280, 745, 755, 760 Series 12v 18a AC Adapter. Dell OptiPlex SX280. Dell OptiPlex GX620. OEM Compatible with Dell OptiPlex. Dell OptiPlex Models Dell OptiPlex 745 Ultra Small Form Factor (USFF) Desktop. High quality products at great prices with exceptional service. The York Scientific way. Trending at $16.20eBay determines this price through a machine learned model of the product's sale prices within the last 90 days. Lot of five Dell DA-2 8-pin Optiplex power supplies in very good used condition, rated at 12V 18A. Power cord included. Sold as pictured. Usff model numbers 745 755 620 gx620 280 sx280. These are in good shape. They work fine. We hope you have a pleasant buying experience. --Compatible Part Numbers: Y2515, D3860, MK394, N112H, D220P-01, M8811, 0M8811. Compatible with Optiplex 745 755 760. Compatible with Dell OptiPlex Ultra Small Form Factor (USFF) GX620 SX280 745 755 760. P/N: N112H. Manufacturer: Dell. AC/DC Power Adapter. Used In Good Condition. USA Sales Only. Genuine Dell MK394 DA-2 Series D220P-01 12V 18A AC/DC Adapter Power Supply OEM. Condition is Used. Shipped with USPS Priority Mail.Power Cable included. Trending at $8.48eBay determines this price through a machine learned model of the product's sale prices within the last 90 days. Output: 12V 18A. 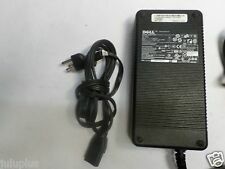 Dell AC/DC Adapter. DA-2 Series. AC/DC ADAPTER. DA-2 SERIES. MODEL ADP-220AB B. Approximate weight: 3.5lbs. Genuine Dell MK394 DA-2 Series D220P-01 12V 18A AC/DC Adapter Power Supply OEM. Condition is Used. Shipped with USPS Priority Mail. Item in working condition. Only comes with what is shown in pictures. (9 pieces available). Manufacturer Part Number MK394. Compatibility Dell OptiPlex Ultra Small Form Factor (USFF) Devices Manufacturer Dell Technologies. Product Type AC Adapter. Maximum Output Current 15 A. General Information. Bench tested in working condition. Item works and only includes what is shown in picture. These power supplies are used with a few scratches and scuffs - some do have some dust or grime on the labels as well as what may be paint on the cables. There is no major cosmetic damage. They all came from a working environment. Listing is for 3 units and standard power cables. Genuine Dell MK394 DA-2 Series D220P-01 12V. All our products are intended for experienced adults over 18 years of age only unless specified in our list suitable for age younger. 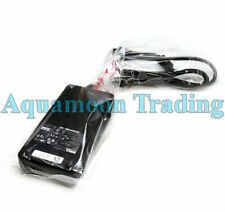 HP CQ43 CQ57 CQ58 G4-1000 2000-2 2000-2d07ca French Keyboard Black 646125-001. 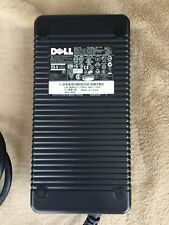 Used Dell DA-2 Series 220W AC Adapter Optiplex MK394 - D220P-01 -MK394 w/Power Cord Navy Blue in good condition. We have several of these, you are buying one. Compatible Part Numbers: MK394 0MK394 CN-0MK394 Y2515 0Y2515 CN-0Y2515 D3860 0D3860 CN-0D3860 M8811 0M8811 CN-0M8811. GENUINE Dell 220W DA-2 Family 8-Pin Power Adapter D220P-01 P/N MK394. Condition is Used. Shipped with USPS Priority Mail. P/N: N112H. Manufacturer: Dell. AC/DC Power Adapter. Quantity: 15. Used In Good Condition. Condition: Used and fully functional. 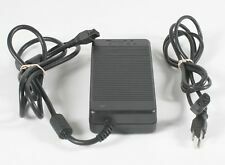 Dell MK394 DA-2 Series D220P-01 12V 18A AC/DC Adapter Power Supply. 5 out of 5 stars - Dell MK394 DA-2 Series D220P-01 12V 18A AC/DC Adapter Power Supply. 5 product ratings5 product ratings - Dell MK394 DA-2 Series D220P-01 12V 18A AC/DC Adapter Power Supply. We will help you to the fullest extent possible. THIS ITEM HAS BEEN TESTED TO POWER ON. Like new condition. Good working condition. Retired from SoCal School District due to upgrade. Tested in good working condition. AC Power Cord is included. Power adapter/cord not shown in picture but included. Item was previously used and may show normal signs of use. Item was not tested. Includes power cord. Output: DC 12V 18A. Orders will be combined if necessary.